he teleports off to find some animal assistance. 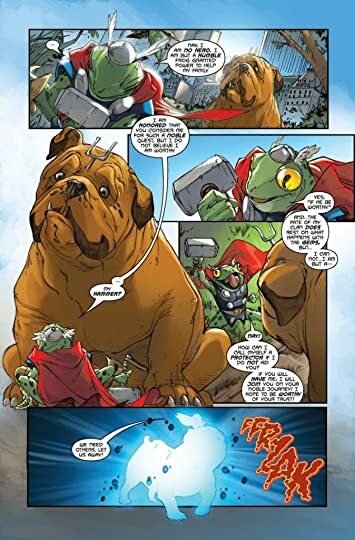 Lockjaw's Pet Avengers are born. 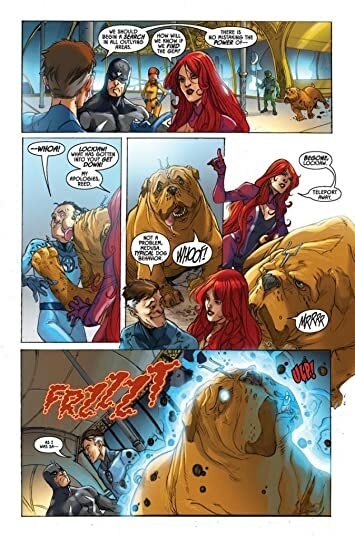 I read Lockjaw and the Pet Avengers because of the number one Inhuman canine Lockjaw. It's a shame that every other character could talk, but he couldn't. He had some sort of telepathic link with Throg, the frog of Thunder, but no words left the big dog's month. The story isn't bad as long as you enjoy an intelligent animal story where they know what's best and the humans are clueless. 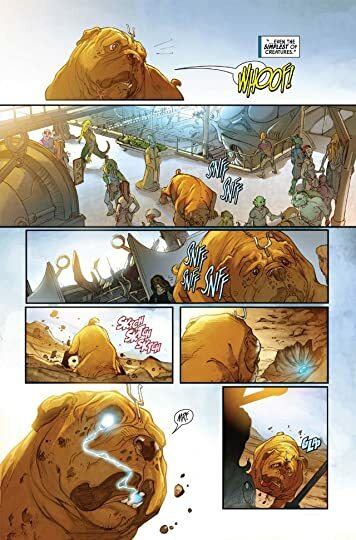 I have to say this story would have probably been better if Lockjaw was solo. 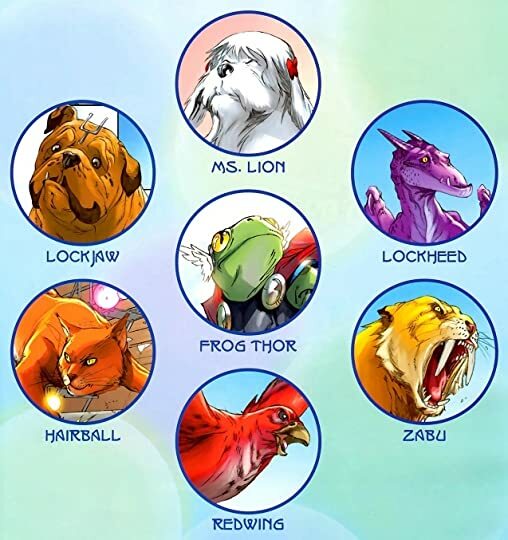 The other Pet Avengers didn't add much and I had never heard of Hairball or Ms. Lion. The others helped out, but Lockjaw did the heavy lifting, most of the time.